Impressive stone property only 10 minutes from Bordeaux centre and central train station. 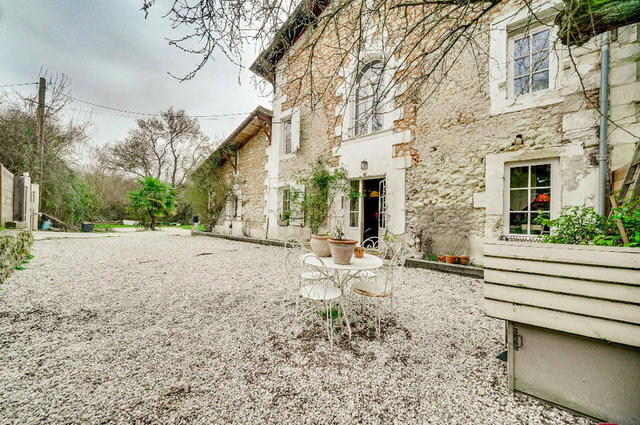 This beautiful property has undergone a complete and successful restauration. The house offers in excess of 400m2, a total of 8 bedrooms, a stunning farmhouse kitchen with stone fireplace and impressive reception rooms. This property is perfectly adapated to a BetB activity without having to compromise on family life. Set within a garden of approximately 1500m2 with a pool (possibilty of an additional 1000m2). Impressive volumes throughout. Authentic charm only minutes from Bordeaux. dont 5.00 % honoraires TTC à la charge de l'acquéreur.